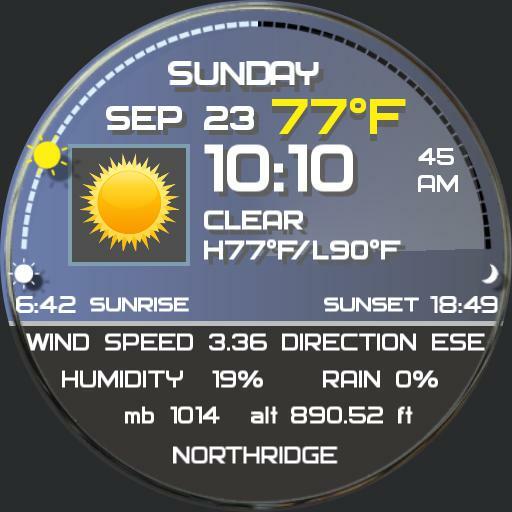 Simple Weather watch tracking sunrise and sunset. Tap 9 3 for Ucolor. Tap center for Ucolor picker.